Welcome to the next level in Florida Motorcycle Racing! Don’t forget to check out the Frequently Asked Questions Section! For 2019 we are now offering custom FMRRA race licenses with personalized photos! Send us your photo through Facebook or email us and we’ll send you out your custom license. Your FMRRA license also comes with a QR Code that links directly to your FMRRA race profile! For race number availability please refer to this link. FMRRA Florida Motorcycle Road Racing Series is making racing great again in Florida! 4 tracks for 2019 – Palm Beach International Raceway, Homestead Miami Speedway, Jennings GP, Roebling Road Raceway! Our goal is to bring the excitement to Florida motorcycle racing that we feel it deserves. 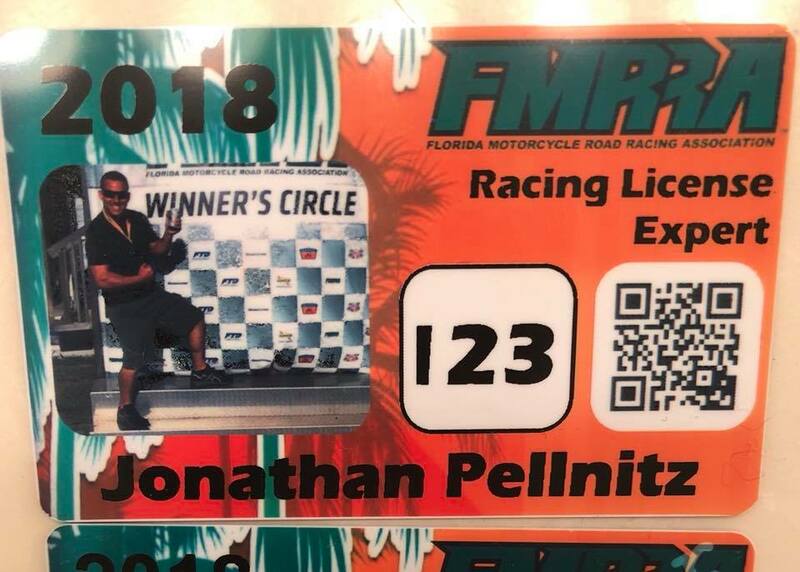 The FMRRA season race license is $125.00 if you already possess a race license from a race organization (WERA, CCS, MRA, CMRA, WMRRA, AMA, FIM, etc.) or have taken a race school.